Agatsuma is a toy (and figure) maker but not a dollmaker; Pinnochio was a children's clothes manufacturer and never produced anything for dolls. 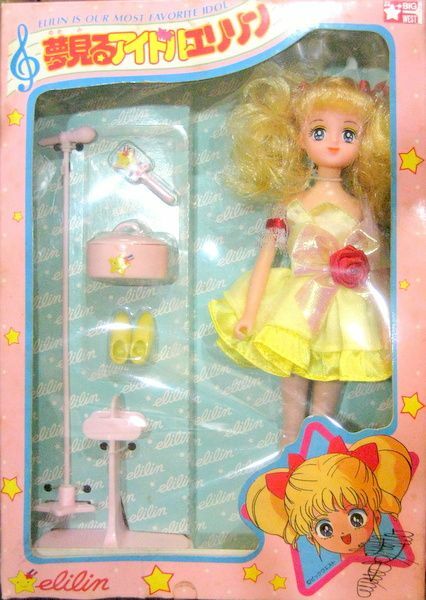 So this Eriko probably has a unique mold. 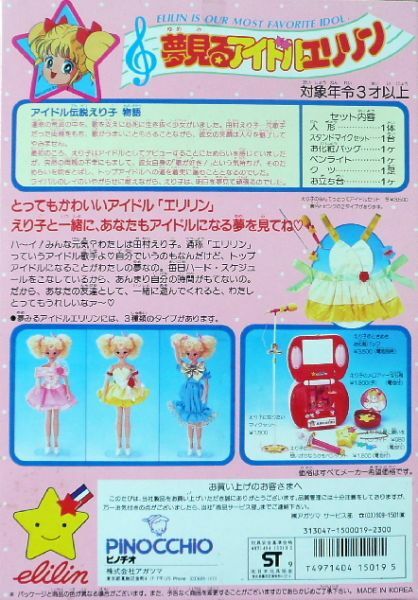 The doll has three variations, pink, yellow and blue, each coming with a mike, a mike stand and a shoe box. 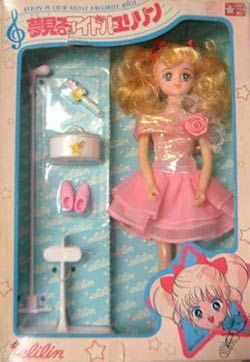 The slogan on the doll box says, "Elilin is our most favourite idol". The protagonist of Idol Densetsu Eriko is based on a real pop singer Tamura Eriko. The character has borrowed her name and her singing voice, but not her biography. 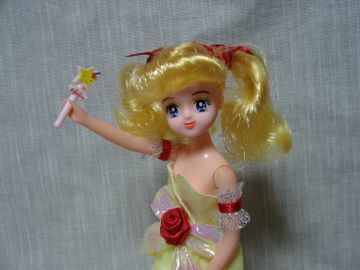 The doll by Pinocchio is a nod to both the idol and the anime character. 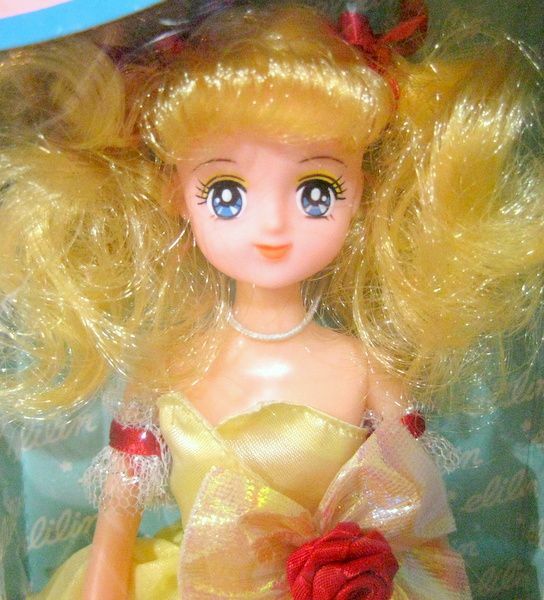 The singer's nickname Elilin is repeated several times on the box, including the title, but there is also the anime logotype and the character's portrait. An additional fact: in 2009, Tamura Eriko appeared as Mai in the American adaptation of Dragon Ball, Dragonball Evolution.